Ladurantaye leaves his position at Twitter to join CBC on May 9. We are pleased to announce that Steve Ladurantaye will join the CBC as Managing Editor of Digital News beginning May 9. Some of you will know Steve from his work with Twitter, where he served as head of Canadian news and government partnerships. Many of you will know of his work on Twitter (@sladurantaye), where he has amassed more than 29,000 followers. Over the last two and a half years, Steve has worked directly with newsrooms across Canada and in the U.S. on social media best practices and Twitter integrations. He brings to us great social media and journalism insights, and new approaches to digital storytelling. He is also a talented journalist in his own right, having won two National Newspaper awards for his reporting work. Social media networks represent the single biggest source of referral traffic to our mobile site and are integral to the engagement, distribution and consumption of our journalism. Steve will help us drive the social agenda, the local 2020 digital strategy and our continued excellence in breaking news, investigative journalism and analysis. 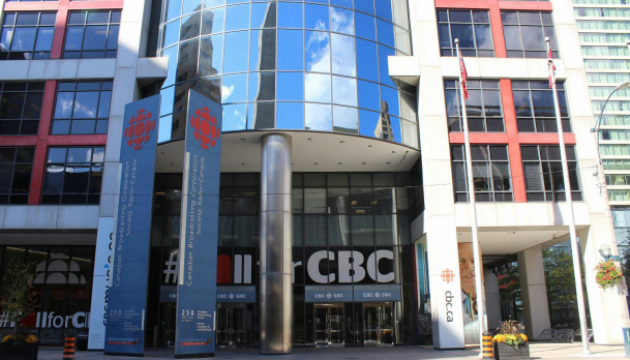 As Managing Editor, Steve will oversee the journalistic programming and staffing of CBCNews.ca. He will work closely with Brodie Fenlon to develop strategies that serve and grow our audience. We asked him write a brief introduction with a little more on his background (see below). Congratulations Steve. Welcome to CBC News! I started my news career in high school, when I got a part-time job at the Ottawa Citizen inserting newspapers late at night and fist-fighting with truck drivers who wanted me to insert newspapers more quickly. I left university early when my rock-and-roll band got an indie record deal, and when that exhausted itself I used my dad’s newspaper connections to help me skip the line at Algonquin College, where I took the journalism program. I became editor of the student paper to ensure I could assign myself the best stories, and then got a job at the Ottawa Sun because our guest speaker administered a news quiz and I was the only one who knew the name of my city councillor. I spent the next decade knocking around Ontario, working at papers such as the Ottawa Business Journal (managing editor), Peterborough Examiner (reporter, night editor, then city editor and one time I unloaded a truck full of flyers) and the Kingston Whig-Standard (city editor). Then I went to the Globe and Mail as a copy editor and then a reporter. At these papers I was nominated for three National Newspaper Awards and won twice (once for explanatory reporting for a story about a car crash I was in and then for business reporting for explaining how BlackBerry went all wrong… I lost in breaking news for Russell Williams coverage). Then I went to work for the Internet. At Twitter Inc., I was the head of news and government partnerships in Canada and the global chair for news. I travelled all over the world to work with newsrooms, mostly around elections but also to talk about how to get the most out of the platform with a focus on sourcing and verification (not that kind, please don’t ever ask me how to get your account verified) of breaking news, particularly around deadly situations. I’m married and we have two kids aged five and seven. Both agree that the CBC is probably a pretty good place, but are quite upset they will no longer have access to the candy-stocked Twitter kitchen. I assured them I’d keep some candy in my desk, and assume that will be enough to bring them onto Team CBC. I’m not going to miss the candy so much because I’m so excited to join one of the best news organizations in the world. I can’t wait to get started and look forward to meeting everyone.